FloorCraft provides a full range of timber flooring services in Adelaide and all surrounding areas. We have products for all styles and budgets. FloorCraft provide a no obligation free measure and quote in all suburbs of Adelaide. You will deal directly with Arben, the owner, who has extensive knowledge and experience and can advise you on the best solution for your flooring needs. Contact us today to arrange a free measure and quote. FloorCraft provides a range of timber flooring solutions, accessories, cleaning and maintenance product to ensure your floor lasts the test of time. For product options. Removal of tiles, slates, carpets or vinyl. FloorCraft can provide the final touch to your new or renovated flooring. We recommend installation of flooring not be done until other construction activities (particularly wet trades) are complete and the building is roofed and enclosed (temperature and humidity need to be as close as possible to the expected in-service conditions). Expansion gaps of 10 mm should be provided at all walls and other fixed obstructions, which are parallel to the run of floor boards. FloorCraft has vast experience in re-sanding and coating timber floor to produce a new floor. Parquetry, Bamboo, Floorboards, Floating timber floors or prefinished solid timber floors can all be sanded back to bare timber and re-finished at a quarter of the cost of installing a new floor. We use latest dustless machines with efficient dust bags to control more than 98% of the dust that is created. We recommend covering book shelves and electronic equipment. Sanding provides a method for smoothing an installed floor, compensating for unevenness of the subfloor. Additionally, sanding is used to renew the appearance of older floors. No beveled edges, as seen in some pre-manufactured prefinished floors, will be evident in a sanded floor. Sanding using successively finer grades of sandpaper is required to ensure even stain penetration when stains are used, as well as to eliminate visible scratches from coarser sandpaper grades used initially. FloorCraft will work with you to determine the best finish for your wooden flooring. Consideration is given to the way your floor is used and amount of traffic to the area. Generally, there are three main types of finishes that are available. All these finishes are applied in 3 coats, each product has its own distinct advantages. At FloorCraft we use and recommend the use of water based polyurethanes and oil based sealers for new floors. We do not recommend the use of Solvent based polyurethane or other products that may cause edge bonding. As timber flooring continues to move throughout its life due to changes in atmospheric conditions, we advise the use of products that allow the boards to move independently of one and other. Oil based sealers, modified oils and some water based polyurethanes will allow free movement of the boards whereas solvent based polyurethane often bonds the edges of the boards together which may result in 4 or 5 boards being glued tightly together and excessive gaps appearing on either side of these boards. 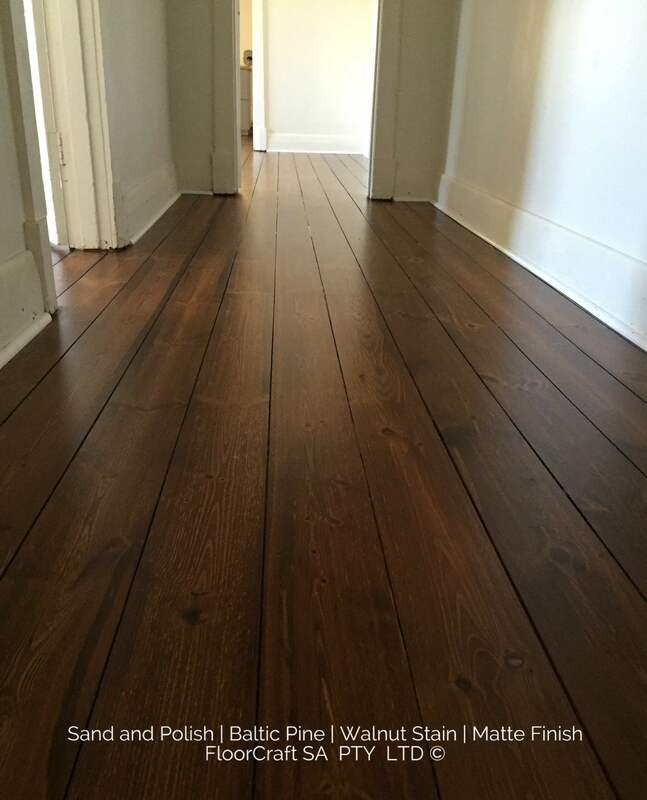 FloorCraft has extensive experience in repairing and maintaining timber floors. We take pride in repairing your existing floor by sourcing and using selected recycled timber in conjunction with your sanding and polishing project. Repair of floorboards where walls have been removed or new doorways cut. FloorCraft has considerable knowledge and experience in dealing with insurance companies to assess your needs and facilitate any potential repairs and restoration of your flooring. We are here to take the stress out of the whole process. FloorCraft work is carried out to comply with Australian Standards and in accordance with all manufacturers’ recommendations as well as meeting ATFA (Australian Flooring Timber Association) guidelines.